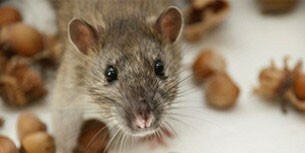 What is pest control and is it neccessary? Will treatment harm my children, pets or unborn child? What can I do to prevent a termite infestation? Will the pest control treament stain my carpet or other surfaces? Do I need to wash everything after the pest control treatment? 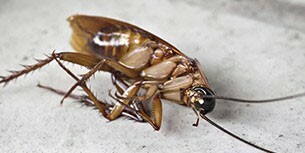 Pest control is the removable of undesirable insects and pests from your home or workplace. Pest control is neccessary because pests can cause structural damage to your home or work premisis and can also spread disease. Regularly, at least once a year. Shorter periods may be recommended, according to environment conditions. We use the safest, most modern materials available and will not carry out any work which might cause a problem. We ask that pregnant women and any children less that 4 years of age be absent while treatment is being carried out and for 4 hours afterwards. This is just to be extra careful in case any allergy-type reactions occur. This is especially the case for anyone who suffers from asthma, this is recommended to avoid triggering an asthma attack. Animals must be kept off treated surfaces until they are dry – usually 30 minutes. 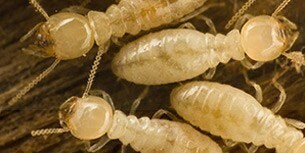 By disturbing the Termites you can cause them to retreat and re–appear to attack elsewhere in your home. Disturbance can also minimise the opportunity to eliminate the colony (remember the colony may not be on your property). Yes! Remove any scrap wood from directly around or under your property, and avoid erecting wooden structures that directly touch the soil to minimise the risk of Termite infestations. Annual termite inspections are recommended. No, the treatment we use does not stain. It’s a water based residual spray that doesn’t contain strong solvents.